Comparative literature, colloquially abbreviated "comp. lit.," is critical scholarship dealing with the literatures of several different languages. Students and professors of comparative literature (who are called "comparativists") are typically fluent in several non-English languages and acquainted with the literary traditions and major literary texts of those languages. Comparativists often study and teach in university departments of comparative literature, but many scholars with doctoral degrees in comparative literature are instead employed in other departments related to their particular expertise (such as English or foreign-language departments). Before 1960, almost all comparativists studied English literature, German literature, and French literature, with occasional forays into Italian literature (primarily for Dante) and Spanish literature (primarily for Cervantes). One monument to this approach is Erich Auerbach's book Mimesis, a survey of techniques of realism in texts whose origins span several continents and three thousand years. The field today, in contrast to this relatively predictable older model, has become extraordinarily diverse: for example, comparativists routinely study Chinese literature, Arabic literature, and the literatures of most other major world languages alongside English and Continental European literatures. Displaying great intelligence, immense literary and historical culture, and unassuming modesty, Damrosch intervenes in contemporary debates over 'world literature.' Readers will be dumbfounded by his range. He treats cuneiform-inscribed shards, Egyptian hieroglyphics, medieval German female mystics, Inca chronicles, Kafka translations and contemporary Native protest literature will equal philological attention, poise and erudition. World literature was long defined in North America as an established canon of European masterpieces, but an emerging global perspective has challenged both this European focus and the very category of "the masterpiece." The first book to look broadly at the contemporary scope and purposes of world literature, What Is World Literature? probes the uses and abuses of world literature in a rapidly changing world. In case studies ranging from the Sumerians to the Aztecs and from medieval mysticism to postmodern metafiction, David Damrosch looks at the ways works change as they move from national to global contexts. 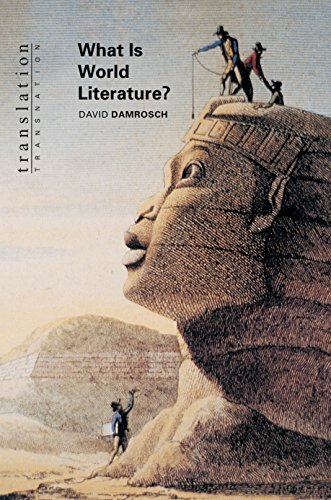 Presenting world literature not as a canon of texts but as a mode of circulation and of reading, Damrosch argues that world literature is work that gains in translation. When it is effectively presented, a work of world literature moves into an elliptical space created between the source and receiving cultures, shaped by both but circumscribed by neither alone. Established classics and new discoveries alike participate in this mode of circulation, but they can be seriously mishandled in the process. From the rediscovered Epic of Gilgamesh in the nineteenth century to Rigoberta Menchú's writing today, foreign works have often been distorted by the immediate needs of their own editors and translators. 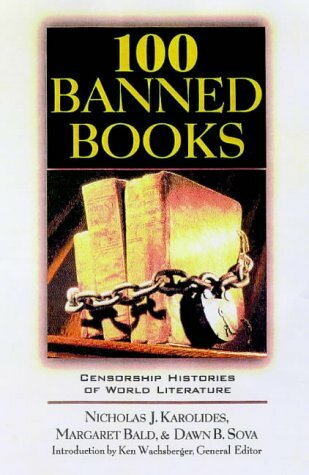 Scheduled for publication during Banned Books Week (September 25, 1999-October 2, 1999), this reference gives extensive insight into titles that historically have faced a high rate of censorship, both in the United States and abroad. The text is arranged in four sections, with titles divided by the main groundsApolitical, religious, sexual, and socialAfor censorship. Introductory notes for each section define what the book's authors mean by that type of suppression and summarize its history. Each title is identified by author, date and place of original publication, publisher, and literary form, and each entry includes a comprehensive summary of the text. These summaries are followed by a full censorship history and suggested "Further Readings" sections directing readers to accessible sources of additional information. By limiting the texts under consideration to 100, the authors are able to provide highly detailed accounts of each title's censorship history in what is surely the most exhaustive single-volume reference available. A valuable tool for those seeking information on particular banned books or on censorship in general; recommended for public and academic libraries. [This book is an adaptation of Facts on File's four-volume "Banned Books," LJ 6/1/98.AEd.] --Copyright 1999 Reed Business Information, Inc.